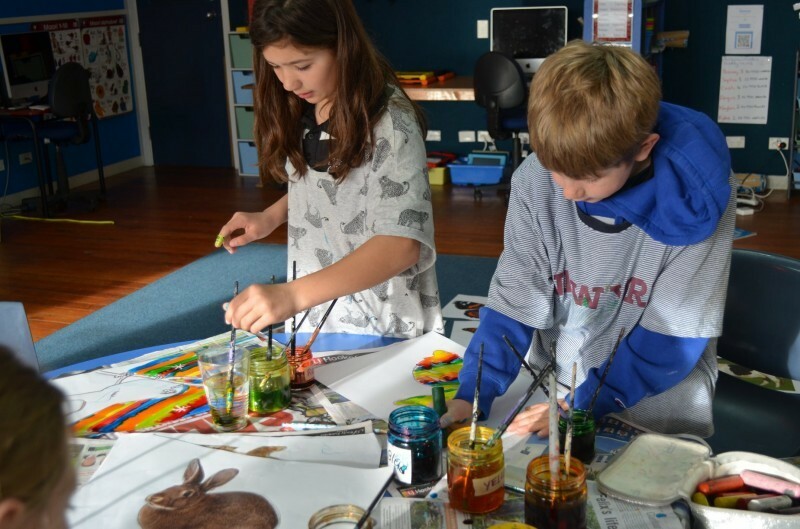 Pupils from Cromwell, Goldfields and Tarras Primary have completed a series of workshops around the design, technique and creation of public art. Throughout these workshops pupils were encouraged to think about how best to represent their environment and community in pictorial form. Three final designs featuring local icons, animals and the landscape have been produced which the workshop facilitator is now transferring onto ply panels ready to be painted at this year's Across the Bridge in Bannockburn festival. 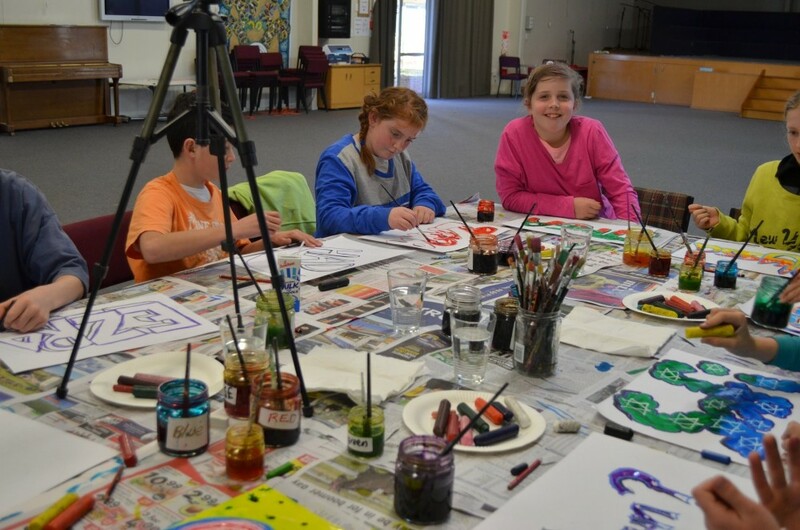 The young artists will be painting their murals on the mornings of September 28th, 29th and 30th and the general public are invited to participate from 1.30pm daily at the Bannockburn Community Church, Hall Road, Bannockburn. Completed murals will be displayed in public spaces throughout the Cromwell/ Tarras areas. In 2017, a youth art project to beautify public spaces in the Alexandra/ Clyde areas was developed. The project originated through discussions between the Central Otago District Arts Trust Coordinator, Rebekah de Jong and the Central Otago District Councils Property and Facilities Officer. Local artist, Maxine Williams, was employed to facilitate a series of workshops in schools throughout the area, designed to guide a selection of primary aged pupils through the process of creating murals for public decoration. Following the workshops, final mural designs were painted by participating pupils and members of the community at the COReap Thyme Festival 2017. The final creations were then photographed and reproduced onto exterior grade laminate and installed on designated buildings throughout the area. So successful was this project that further discussions were had between all involved and it was decided that the project be replicated in Cromwell/ Tarras areas. Weekly workshops are now underway for a selection of creative pupils from Cromwell, Tarras and Goldfields Primary Schools.